FYI, please take a minute to check out this extremely user friendly measuring device that is continuing to make its way through many different industries, including the popular Custom Car Builders Market. The Romer name is a long time well-established high end measuring device which is being used where accuracy is extremely important. Below you will see the special Romer Absolute Arm video demonstration along with the Tube-Shaper Application. You will clearly see why the Custom Car Builders along with the Antique Car Buffs, are finding this to be an absolute must in their tool box. Romer has made it simple for many industries as mentioned above, that were never thought to need the ability to reverse engineer hard to find or discontinued parts. The Romer Absolute Arm measuring device, along with available options, are currently being used in high end aircraft parts, oil and gas, nuclear and conventional power plants, cloning of boiler tubes, just to name a few. Hines Bending is an active Romer distributor and currently has a complete system set up in house for customer demonstrations. Lastly, the demonstration will show how the Romer System can integrate directly from your office desk, directly to the operator on the manufacturing floor, to the BendPro G2 Control, and then on to the Hines CNC Mandrel Bending Machine. A must SEE! If you need to capture critical certification data, to improve the quality your bent tubes and pipes or just want to be able to make instantaneous improvements in the bending process, then the ROMER Tube Inspection System is a definite add-on. The ROMER inspects, measures and reverse engineers tubes and pipes of any type, for any industry.Bending customers find the ROMER’s state-of-the-art technology to be highly effective for reverse engineering, problem solving and product development. Whether a part is bent on CNC tube bender or CNC pipe bender, the ROMER captures 3D point data across a range of surfaces and sizes with precision accuracy. The ROMER is high-speed, portable and user-friendly. 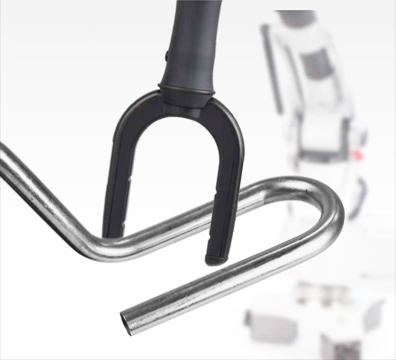 The ROMER produces data that helps product developers and engineers understand bending machine performance over time and to identify potential problems. This “advanced warning system” proactively helps engineers manage potential problems with the bending machine on the floor before they become critical, to make changes “on-the-fly” and to reverse engineer the bending solution. A tube can be checked in minutes according to a 3D CAD model or even a simple drawing. 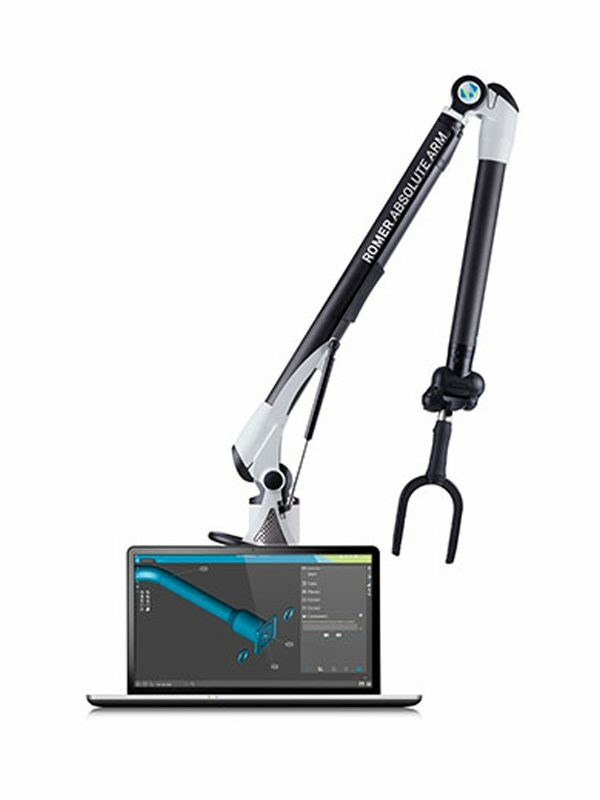 Furthermore, thanks to the ROMER Absolute Arm’s automatic probe recognition, flanges brackets and bosses can all be measured with the touch probe in the same measurement session: there is no need to run multiple applications. The ROMER Tube Inspection Solution can be connected directly to multiple CNC bending machines in minutes, allowing you to check your tube production on the shop-floor in real-time. Bend a tube, measure it, compare it to your master data and send any necessary corrections back to the bender. Not only is it easy, but it also means less scrap, less downtime and money saved.